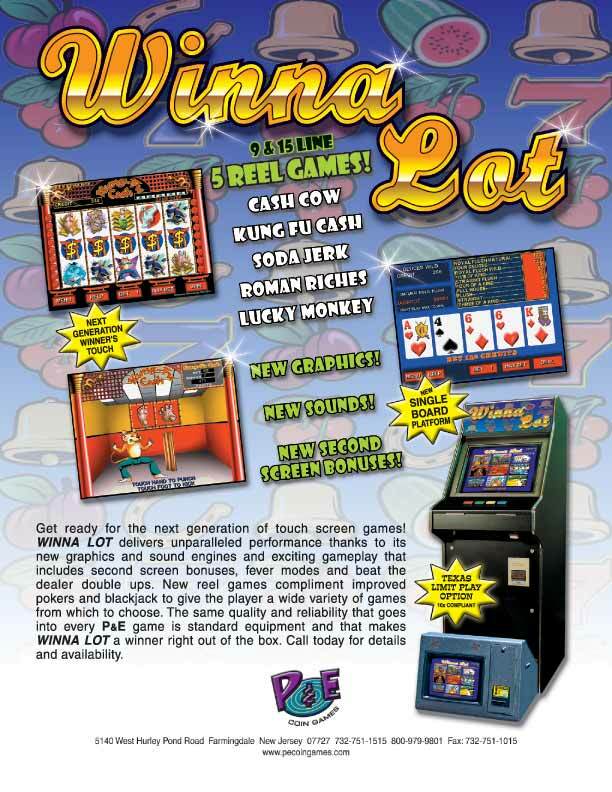 Get ready forthe next generation of touchscreen games WINNA LOT delivers unparalled performance thanks to its new graphics and sound engine and exciting gameplay that includes second screen bonuses, fever modes and beat the dealer double ups. 5 Reel 5 Liner, 5 Reel 9 Liner, Cash Cow 3 Reel 5 Liner, Lucky Monkey and 8 Liner. 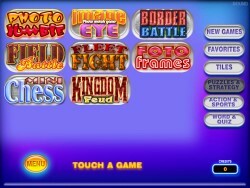 All with updated graphics and sound. Unquestionably the best playing, best earning game ever made. 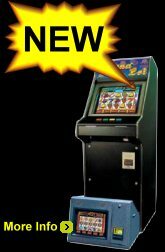 A touch screen multi-game platform with VGA graphics, 16 bit-sound, and 15 games including Magic Poker, Deuces Wild, Blackjack, Keno, Gold Fever (8-line), Double Joker (5-line), Lucky Pull (pull tab) and more. Ticket dispensers and printers are available for redemption markets. Available in the works-in-the-drawer upright, 19" casino style, and countertop models. Upright dimensions are 23Wx31Dx65H; countertop dimensions are 22Wx16Dx17H. 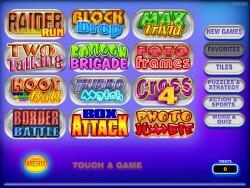 Casino style cabinet dimensions are 21Wx26Dx41H. 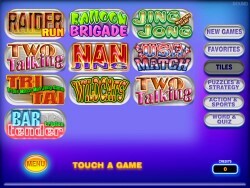 A special version of Winner's Touch incorporating sports, movie, and television trivia along with its poker and line games. This game is sure to pass all legal scrutiny. Credits and score are separated so no claims can be made that a player is receiving a reward of value such as free replays. 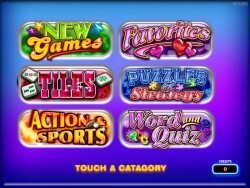 When a player puts money into the machine, he/she is given a certain amount of credits and a starting score. The CREDITS decrement by one for each game played and only increase when money is inserted. The SCORE decreases according to the amount bet and increases according to the winnings. When the player feels he/she has achieved his/her best score or wish to stop playing, the player can enter his/her initials in a high score table. Available in upright or countertop model. Upright dimensions are 23Wx31Dx65H; countertop dimensions are 22Wx16Dx17H.